The Bajaj D400 has been launched at Rs. 1.36 lakh. Our guess is that even the fully-faired Bajaj Pulsar RS400 launch isn’t too far in the offing. 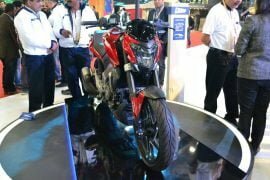 All this means that the Bajaj Pulsar RS400 launch will take place some months after that of the CS400. Read on for launch details of the upcoming Bajaj Pulsar 400cc bikes. 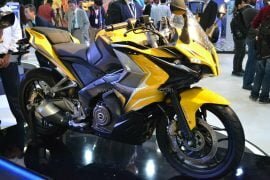 Like we’ve been saying, the Bajaj Pulsar RS400 launch is likely to happen around mid 2017. You can stay tuned for all the news updates and review of the Bajaj Pulsar RS400. The RS400 will become the most expensive Pulsar model ever. It will share its engine with the KTM RC 390, which has just been updated for 2017. The new 2017 KTM RC 390 is likely to come to India early next year. This means that even the RS400 could come with bits like the slipper clutch. Basically, the RS400 will play the elder sibling to the RS200, which was launched in 2015. The Bajaj Pulsar RS200 locks horns with the likes of KTM RC 200 and even the Yamaha YZF-R15. On the other hand, the Bajaj Pulsar RS400 will lock horns with the likes of Honda CBR250R, Mahindra Mojo and even the KTM RC 390. As we said, the upcoming Bajaj Pulsar 400cc fully-faired model will rival everything from a Honda CBR250R and the upcoming Hero HX250R to its own cousin, the KTM RC 390. This means that it could be even priced close to the fully-faired Katoom middleweight. It is being expected that the Bajaj Pulsar RS400 price in India will be around INR 2.10 lakhs. This also means that the Bajaj Pulsar RS400 price will be marginally lower to that of the RC 390. 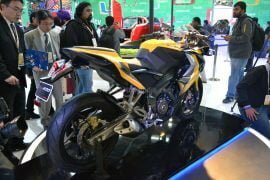 The Bajaj Pulsar RS400 will be powered by a re-tuned version of the 373 cc, single-cylinder, liquid cooled engine that powers the KTM RC 390. This engine is mated to a 6-speed manual transmission and the for the RS400, the engine could produce upto 34 bhp-35 Nm . 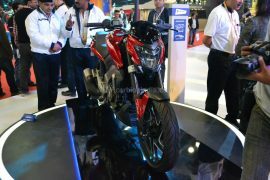 Bajaj Pulsar RS400 Mileage could be upto 25 kmpl. The top speed of this fully-faired Bajaj Pulsar 400cc model could be around 170 kmph. The Bajaj Pulsar CS400 launch could happen by September 2016. It will go on sale as the Pulsar VS400. Once launched, the CS400 will become the most powerful and most expensive Pulsar model on sale (At least until the SS 400 comes out). You can safely expect us to keep you updated with all news updates and test drive review of this upcoming Bajaj Pulsar 400cc streetnaked. The CS400 will share its motor with the Duke 390. 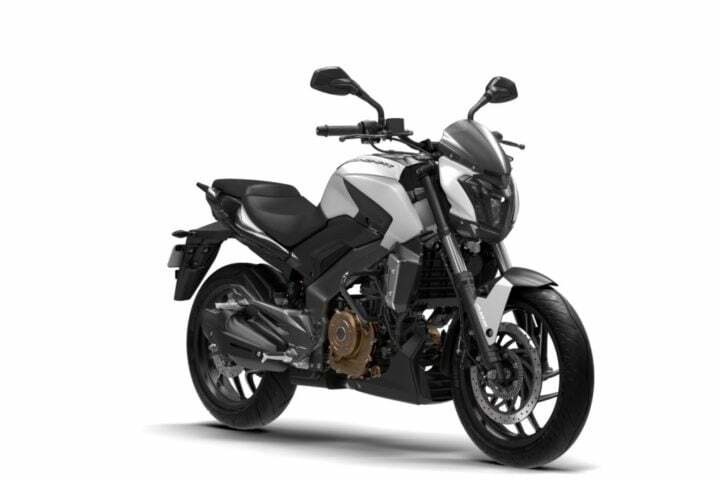 In essence, the Bajaj Pulsar CS400 will be the elder sibling to the 200NS. The 200NS has been discontinued since some time now but is likely to be re-launched with ABS and Fuel Injection. The updated 200NS will rival the likes of Yamaha FZ-S FI. 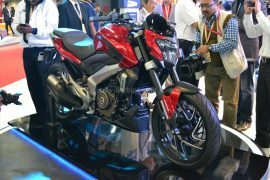 The Bajaj Pulsar CS400, however, will lock horns with the likes of Mahindra Mojo 300 on one end, and its own cousin, the KTM 390 Duke, on the other. Bajaj always prices its products very competitively. The D400 is no different. It starts at Rs. 1.36 lakh (ex-showroom Delhi), which makes it cheaper than the KTM 390 Duke. Powering the new Bajaj 400cc bike is the KTM 390 Duke‘s 373cc engine. This engine comes mated to a six-speed manual gearbox. For the Dominar 400, the engine produces a maximum power-torque of 35 PS-35 Nm. Bajaj Dominar 400 has a fuel mileage of around 35 kmpl. Official figures have not been revealed yet. The Dominar 400 has a top speed of 148 km/h. It will do 0-100 kmph in 8.23 seconds. We believe that both the Bajaj Pulsar 400cc bikes could revolutionize the Indian performance biking scene. 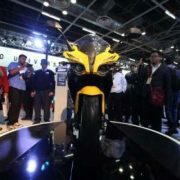 Stay tuned to Car Blog India for more news updates related to Bajaj Pulsar 40cc launch date, price. specifications, etc.